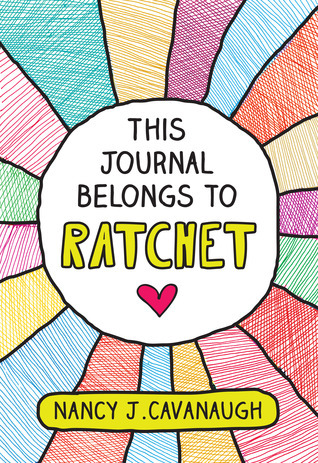 This Journal Belongs to Ratchet by Nancy J. Cavanaugh. Sourcebooks Jabberwocky, 2013. Currently Available. Face Value: I love the colors and the hand-drawn aesthetic. It reads a little young, but I don’t think it will deter the target audience for this particular book. Does it Break the Slate? TOTALLY. Oh, Ratchet is well on her way to being a Slatebreaker – she spends the whole book figuring out who she is, and going after it. I also appreciate that she is a character who is allowed to like/want traditionally girly things (cute clothing), while also liking/wanting non-traditionally girly things (fixing cars). Who would we give it to? Brianna and I were just talking about how she needs a good list of books about homeschool students. This is a perfect addition to that list, especially because every other book about homeschoolers I can think of involves them going into a traditional school setting. Ratchet is a great character, that kids will empathize and identify with, who both starts and ends the book in homeschooling. Review: Ratchet (nickname for Rachel) is on a quest to re-invent herself, and it starts with a beautiful clean new notebook. Her plan is to “turn my old, recycled, freakish, friendless, motherless life into something shiny and new.” This is what happens – ultimately – but it doesn’t go the way she plans. “Today could be a day to start over. It’s the first day of school for all the kids in the neighborhood. But not for me. I’m homeschoold. That means nothing new. Hence, the plan. Through a series of journal entries in a variety of prompts (her writing homeschool work), Ratchet details her plans to reinvent herself. Some of her plans fall apart (taking a class on “getting charmed” for example), but they lead into other opportunities. I loved Ratchet’s relationship with her father, because it was both so great and so flawed. He’s not perfect, but he is such a great dad, who really wants what’s best for his kid. And Ratchet is a terrific kid, who can empathize with her dad, even as she is furious with him. A huge part of this book is Ratchet trying to figure out who her mom was, and why her dad wants to keep that information from her. She feels like she can’t know how to be a girl without a mom to teach her the important things. But there are other ways to figure out how to be a girl. And while sometimes it can make a big difference to have a friend’s mom help you go shopping, it can also make a big difference to talk to your dad about the things that matter. And while Ratchet finds out she actually has a lot of people she can count on, she also finds that she has a lot of resources already within herself. This entry was posted in Middle Grade, Reviews and tagged Cars, Father-Daugther Relationships, Friendship, Homeschool. Bookmark the permalink. I have this one on my to-read pile and didn’t know much about it aside from the publicist loving it. It’s good to see an informative and enthusiastic review! Thank you for such a lovely review! I’m so happy to hear how much you enjoyed RATCHET!